DC jazz fans beat a path to clubs whenever singer Sharón Clark takes the stage; this prolific artist has assumed the mantle of Washington’s queen of jazz. Jazz Times calls her “a revelation…I never thought I’d hear a singer with the range, musicality and command of tone and timbre that was Sarah [Vaughan] at her best, but now I have.” As a youngster, Sharón Clark started her career with her twin sister as the Bottle Caps, making promotional appearances for the Coca-Cola Company; she got her first solo jazz gig singing at King’s Dominion. Today she’s a regular at DC’s Blues Alley and is a featured soloist with the Smithsonian Jazz Masterworks Orchestra. 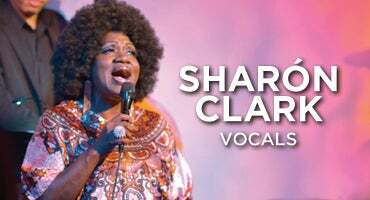 No stranger to the road, Sharón Clark has headlined at major festivals across the U.S. and toured internationally—she has a faithful fan base in Europe, Russia and Israel. 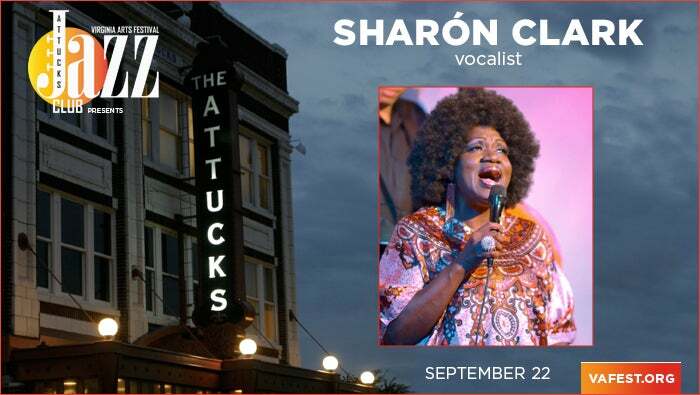 Get ready for an evening of revelation when this inspired vocalist plays the Attucks Jazz Club--“you can’t underestimate the transformation of what seems like an ordinary song when an interpreter like Sharón Clark…tears it apart and peers inside” (The New York Times).